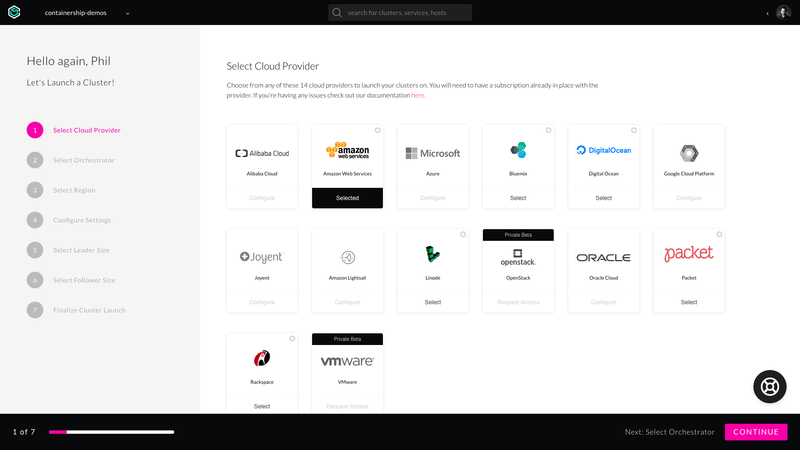 ContainerShip, which launched at Disrupt NY 2015, helps developers deploy their containerized applications on virtually all of the major cloud platforms. In its early days, the company mostly bet on Docker and its own container management tools for handling its users’ containers, but, as the company announced today, it is now adding support for the Google-incubated Kubernetes container orchestration tool and launching its fully managed Kubernetes offering. ContainerShip’s focus in its early days was making it easy to move between cloud providers, and its current service still reflects this. As Dougherty stressed, ContainerShip wants to make it easy for its users to launch a Kubernetes cluster and use its load balancing, firewall and user management features. In addition, ContainerShip also makes it easy to simply take a snapshot of a given deployment and move it to another data center or cloud platform. 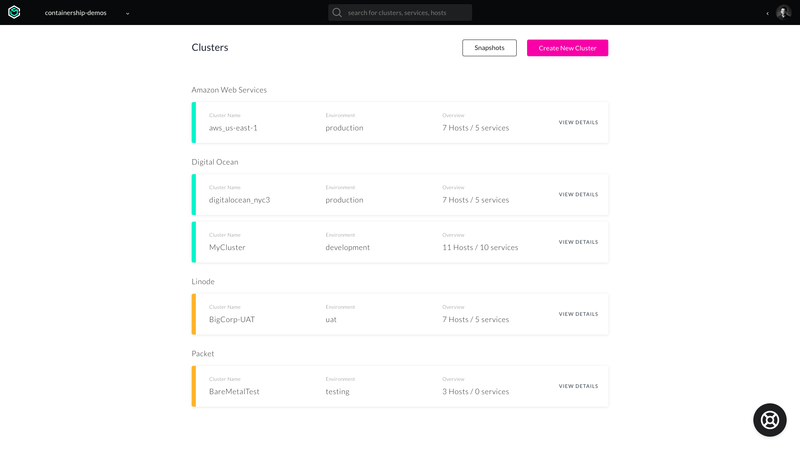 To spin up new services, users also can go to the company’s marketplace to quickly install them on their clusters. The company will still offer support for its own container orchestration service, but given the momentum behind Kubernetes, Dougherty noted there’s a chance that the company will go all-in on Kubernetes in the long run. With this move, ContainerShip, which now has just over a dozen employees, is joining a group of other companies that are also making the same bet on Kubernetes, including the likes of CoreOS, Deis and Red Hat (with its OpenShift platform). Dougherty argues that his company’s focus on multicloud gives it an edge over these services. To better compete in this increasingly crowded marketplace, ContainerShip is not only launching its fully managed service but also changing its overall pricing structure. The company now offers a straightforward hourly and monthly rate that will cost its users $8 per month and service (or $0.011 per hour). It’s also offering a basic free plan for developers who want to kick the tires of its service. This free plan doesn’t include support for load balancing, firewalls, snapshots and role-based access control, though. In addition to these on-demand services, the company also offers monthly support plans. ContainerShip’s fully managed Kubernetes offering currently starts at $50,000 per year and comes with 24/7 support. The company also offers a cheaper $25,000 per-year plan for users who are only looking to containerize up to three services and only need 24/5 support.